I will begin the next part of my test today. Once I log in I have 24 hours and I will need the internet. Our router has been acting up lately. It doesn't help that it is almost 10 years old, I'm sure. So yesterday I ordered a new one from Amazon Warehouse. 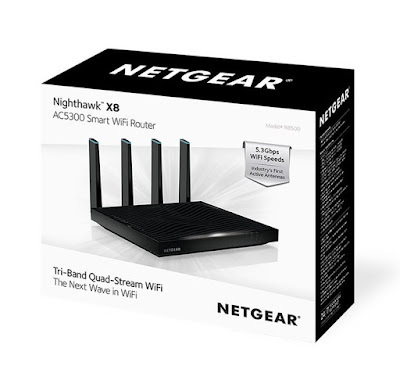 It's the NETGEAR Nighthawk Tri-Band AC5300 WiFi Router. It has pretty good reviews and was heavily discounted due to damage to the packaging. It's supposed to arrive today. So last night, T-Jay decided to move our old router and cable modem downstairs in the dining room. I would put it in my room, but I can't stand to go to sleep with all these light blinking at night. My room stays pitch black when I go to sleep. I cut everything off through surge protectors. My phone recharges facedown on a thick towel to keep it dark. He got everything hooked up after getting a cable splitter from Wal-mart. Of course, the router would not work no matter what he did. We had no internet. He finally got on the phone with a tech from the cable company. After 30 minutes of, unplug this, unplug that, he was told that the router was not working and that he needed to set up an appointment for someone to come out. By this time T-Jay was pretty frustrated and decided to move everything back upstairs, after all, everything worked before he moved it. Sure enough. Five minutes later we had internet. WTF? 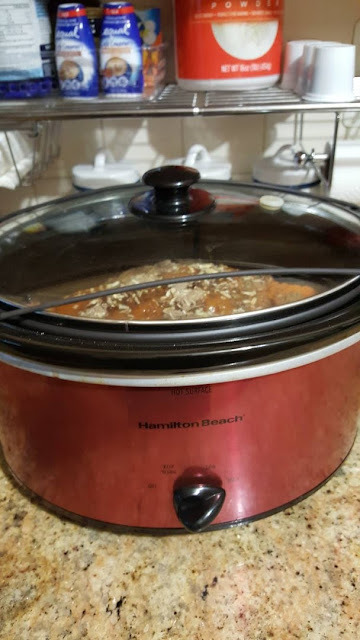 When I got up this morning I got out the crockpot. 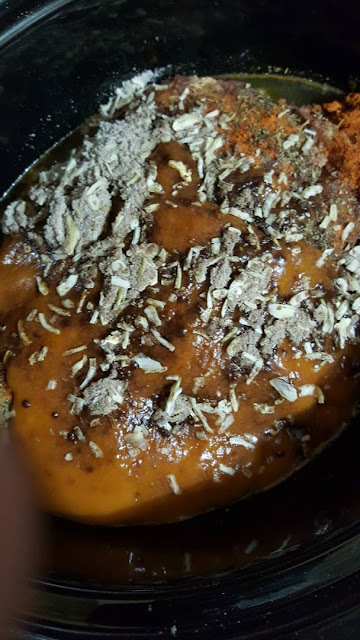 I have a pork roast cooking. Seasoned with a package of dry soup mix, golden mushroom soup and plenty of red pepper. I did all the running around I had to yesterday after work. So I have no reason to go anywhere today. Time for another cup of coffee then off to the shower and then to start on the test.